Knowing when to take up leadership, when to hang on to the role, and when to step down are critical marks of a leader. This is exactly what happened this week at the Vatican. On February 10th, 2013, the leader of the Roman Catholic Church, Pope Benedict XVI announced that he will be stepping down as Pope from February 28th, 2013. Some applauded the decision, saying that it is high time due to the perceived incompetence or the recent scandals affecting the Roman Catholic Church. Others claimed shock and disbelief, seeing the resignation as something untypical, as there had never been one resignation for nearly 600 years. While the Pope cited "poor health" and "age" as his primary reasons, many speculators put forth other kinds of reasons. Whether it was the scandalous revelations of financial misappropriations, or the sexual misconduct of some priests, or unhappy religious stances on human rights or sexual orientation matters, no one really knew what the true reasons are. 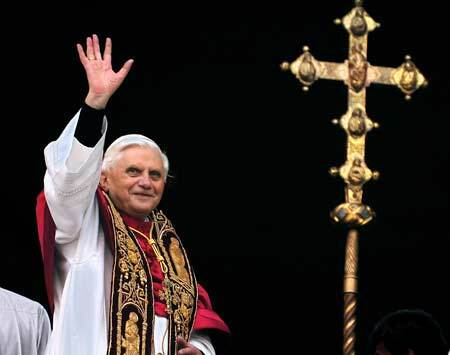 From a leadership perspective, it is an admirable move by Pope Benedict XVI. Leadership is not child's play. Leadership of one of the largest flocks in the world comes with a heavy responsibility. Thus, it is not a decision easily taken or made. The Pope has boldly declared that he is physically unfit to carry on. That takes courage. That takes conviction. That speaks volumes about the leadership trait of the leader of the Catholic Church. "Now this is a rare leader. He cares more for the organization rather than for his own position. He puts the interest of the college first before his own financial stability." The call to take up leadership is important. The call to let go when the time is up, is equally important. Note the words of Pope Benedict XVI's official letter of resignation. In evangelical circles, we have seen many leaders who have resigned for all the wrong reasons. There are those who were forced to step down due to some financial irregularities. There are others like Ted Haggard, Jim Bakker, Jimmy Swaggart, Eddie Long, and a long list of others forced to relinquish their posts due to sexual misconduct when in office. There are also leaders who ran away with their secretaries, leaving their congregations devastated without a shepherd, without any adequate explanation, and without proper accountability. Such things not only embarrass the organizations they represent. They tarnish the image of the Church of Jesus Christ. Then, there are those who hang on to power thinking that there is no one else capable enough to do the job they are doing. Is God really that stingy in providing capable leaders? Are these organizations so pathetic that they fail to find even a single person bold enough to take over leadership to bring the organization to a new level? I believe it is important for any organization to have leaders who are called. It is also important for called leaders to take courage in responding to the call. Every generation will have their sets of challenges. While old leaders may have fought the battles of yesterday, by hanging on to power, they can potentially superimpose the problems of the past generation onto the reality of the present generation. They can discourage younger leaders from coming into the leadership fold. It is like a leader of the 20th Century, thinking to himself that the 21st Century is full of problems similar to the 20th Century. An example is that of a certain Bible Church movement that has fought valiantly and gallantly against liberal theology in the 60s. They have strong evidence that liberal theologians of the 60s had corrupted the Word of God, misrepresented Christ, and had led the Church astray. So they fought, and fought, and fought. Fast forward to the 2013. They are still fighting the old battles in a new era. Sadly, some of these leaders are still around pulling their weight on the younger leaders. They are still fighters against liberal theology. Unfortunately, they have superimposed their fear of liberal theology in the 60s onto a new era where the greater threat is not liberal theology but spiritual complacency and spiritual lethargy. A new generation requires new leaders. The old leaders need to guide the younger leaders. The Church must refocus with each new generation and to discern the call of God together. Obedience is key in leadership. There is no greater example than Jesus who willingly leaves his celestial throne, to come to lowly earth, and dwells among us. After a very powerful 3-years of ministry, he sends out his disciples with the Great Commission, as he goes down in history as the only sinless man on earth, unfairly arrested, unjustly humiliated, unceremoniously crucified, and undeservedly killed. He steps down for the sake of obeying his Heavenly Father. He steps down, for the sake of letting the Holy Spirit unleash his power and might. He steps down, for the sake of showing the way, that it is more important to obey God, than to hang on to power. He steps down so that his disciples can take over the mission of the Church. Even spiritual power. In stepping down, he has shown us the way of leadership: Step up when called, and step down when needed. Are you a leader? If you are, pray for God's wisdom to lead well during your appointed season of leadership. Are you a disciple? Do your best to contribute your skills and your gifts. Are you ready to serve? Use your creativity widely. Are you leading now? Exercise your authority sparingly. Serve the people humbly, knowing that the God who gives you that power and authority, has every right to take away the same power and authority at any time. "Lord, I am not worthy. I am here only because of your grace. I am powerless when I depend on my own strength. All power and authority comes from you. All I have now is a privilege. I acknowledge that whatever position and power I have right now, is only for a limited time. Show me the way. Help me see whether I should take up greater responsibility, to continue faithfully in my existing role, or to lay down my position when I sense you have called someone else to take over." This is a mark of a leader. One who knows when to take up, when to hang on, when to let go, and when to step down. For the sake of the community. For the sake of the Church. For the sake of Christ. Blessed is the community that has people full of such them.